The October half term is a great time to get-away with the children to a holiday lodge to make the most of the last good days of the autmn . What's more a lodge offers great value for money family self catering accommodation in England, Scotland, Wales and Ireland. If you are wondering how to keep your kids entertained this half term, many lodges are on popular holiday parks which will offer lots of facilities and entertainment during the school half term. Typically you will find facilities such as indoor swimming pools and holiday parks that organise kids activities and entertainment throughout the day. See more ideas for things to do below. Of course, the prices of the October & November half term break are considerably lower than their summer highs so you can find some great bargains. Many lodges comfortably sleep large groups so you can even take some friends long to keep your family amused. So whether you are looking for a few nights away or a weeks holiday you will find some great value breaks in England, Scotland, Wales and Ireland. Search for some Autumn half term bargains below. Although it's not the peak summer season family sized lodges sell out quickly at October half term. 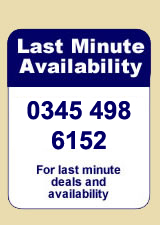 Therefore as well as checking online we would also recommend calling 0844 847 1143 to find out the latest availability for lodges and/or cottages and apartments. Winter it may be, but in October there's still a lot to do. The countryside and coast will provide wonderful walks through beautiful scenery during October, just make sure you wrap up warm. It's also a great time to explore the pretty British and Irish towns and villages - when they are not overrun with tourists - and there is nothing better than calling in at the local pubs, restaurants and cafes to warm up!